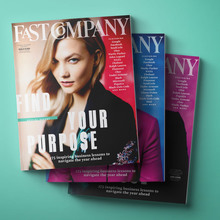 Originally known as Kaiser , Kommissar was designed for Florian Bachleda’s 2011 redesign of Fast Company. Inspired by Vertikal (likely cut in the late 1920s), “a stripped down, flat-sided condensed sans [found] in a German specimen book”. [Village] Comes in 3 widths, each with 7 weights.